These Zucchini Brownies are actually quite delicious! They are moist and don’t taste like zucchini at all! You could even shred the zucchini really small to hide it better if you like. 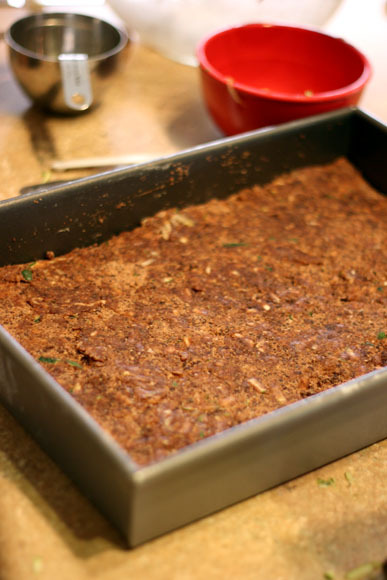 Zucchini Brownies are one of those healthy desserts that you just keep eating and eating and eating…is it still healthy if you eat half the pan? Preheat oven to 350°F. Spray a 9 inch by 13 inch baking dish with nonstick cooking spray and dust with flour. Stir together oil, sugar and vanilla in a large bowl. 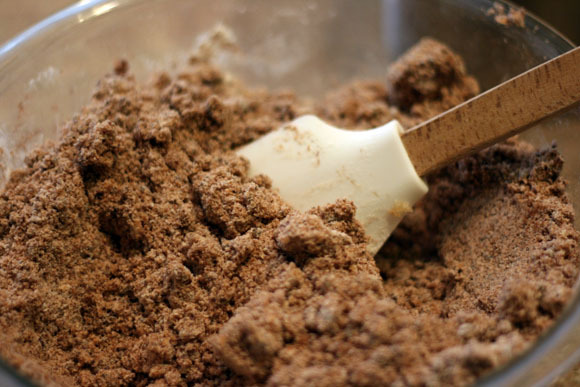 In another bowl, combine salt, baking soda, cocoa powder and both flours. Slowly mix the dry ingredients into the wet. This will be very dry when mixed together. Add grated zucchini and mix until combined and moistened. Transfer to the prepared pan and spread the batter evenly. Bake until a toothpick inserted in the brownie comes out clean, about 25-30 minutes.